While we love invitations, what we love even more is the moments and memories that they help create. 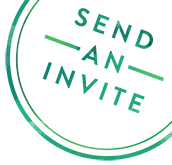 If you have used Greenvelope to bring people together for any of your celebrations, we would love for you to share with us! If your event is selected for a feature on Stationers, we’ll send you an email with some follow-up questions. Curious what it would look like? Check out past event features here and here! Please upload all photos at once as a compressed (.zip) folder. Maximum file size of 40MB.